A wry retelling of the classic tale about a bold and very particular girl plays out in lighthearted illustrations filled with intricate details. Once upon a time, a naughty little girl named Goldilocks stuck her nose where it didn't belong. She didn't wonder. She didn't ask. She walked straight into the Three Bears' house and made herself at home. "Disgusting and cold!" she proclaimed of a bowl of porridge. "Awful!" she groaned, sinking into a too-soft chair. "Bullseye!" she cried, snuggling up in a bed that was just as right as right could be. 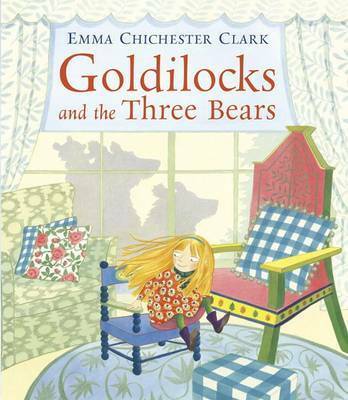 And then the bears came back. . . . With humor and warmth, Emma Chichester Clark brings new life to a much-loved fairy tale. 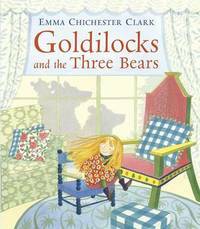 Emma Chichester Clark, a winner of the Mother Goose award, is the author-illustrator of the Blue Kangaroo stories and the illustrator of HANSEL AND GRETEL, retold by Michael Morpurgo, and NOT LAST NIGHT BUT THE NIGHT BEFORE by Colin McNaughton. She lives in London.